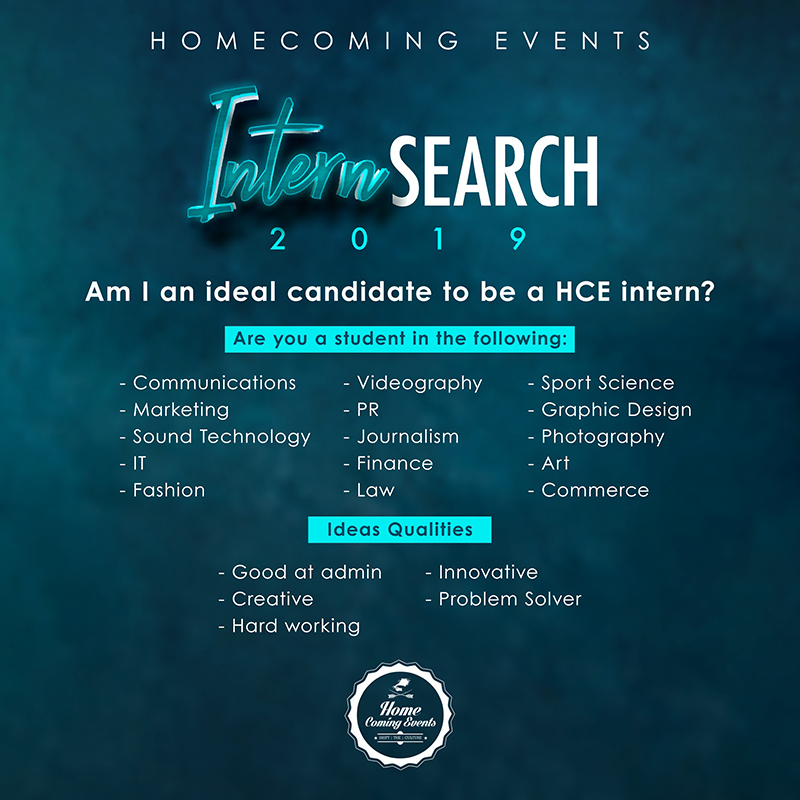 Since 2013, Homecoming Events has run a 12-month internship programme that gives young driven individuals a platform to grow within the entertainment and marketing fields. 8out 268 applicants were selected to form part of the 2018 program. Innovative, determined and creative individuals were chosen after a series of interviews and challenges. During the internship, interns rotate among the 5 departments of the company while also being given exposure to elements that relate to their field of study, e.g. law, finance, marketing etc. The Homecoming Events Internship programme has opened doors for many young individuals to pursue and achieve their dreams. Once the internship has ended, you walk away with new skills, knowledge, insights and a lifelong network of friends and contacts.